As I’ve opened up more about my postpartum OCD over the past year, I’ve received a ton of support, both within my own circles and from people who know me only through my writing. I keep sharing because I recognize the need, I understand the struggle, and I’ve lived through the fear. Unfortunately, recently when I saw one of my articles shared on Yahoo! I received some negative comments from people who don’t know me or my heart. Honestly, my first thought was, “Am I about to become famous! ?” Because as we all know, online haters and success seem to (unfortunately) go hand in hand. People who were writing were trying to knock me down, to portray my illness as “fake” and to label me a “millennial snowflake.” Luckily for me, I’m confident in who I am and what my story is that I didn’t let that affect me. It did change me a little though, it made me want to speak louder, to share more. It has made me shameless. When people experience “scary thoughts” or become lost in OCD, they begin to pull back. They pull back from friends and family, they hide behind smiles or lose themselves in tears. Their greatest fears are now completely taking over their entire mind, and the fear of those thoughts becoming a reality keeps them from reaching out for help. Reaching out for help was almost as scary to me as the thoughts themselves. The fact that my entire illness revolved around the fear of hurting my kids made it hard for me to figure out who to trust. What if I told someone and they called child services on me? What if my friends began to see me differently, as some sort of dangerous monster instead of a woman who was scared to death? What if my kids began to distance themselves from me because they didn’t understand my anxiety and eventual depression? The fear of those around me knowing the “truth” about me was one of the largest burdens I carried. I would often think, “no one would love me if they knew what was going on in my head.” These were my true feelings, thoughts, and fears. These are the reasons that I first began to write. I wanted to give people information about OCD, I wanted them to understand that it was a disease brought on by anxiety. I wanted to make sure they understood that the paralyzing fear they were experiencing was not because they wanted to hurt anyone, but rather it was their body trying to protect everyone. Never in my life have I considered myself a “snowflake.” I’ve been through quite a few hard times and feel that I can pretty much handle anything life throws at me. The fact that I know myself so well means that when I see others judging my story, I accept that their ignorance cannot be changed, but those also aren’t the people I write for, so it truly doesn’t matter. I write for the new mom scared to wake up with the baby alone in the middle of the night. I write for the woman rushing through the preschool drop off so that she can cry in her car alone. I write for the dad that wants nothing more than to protect his children, but keeps having thoughts of hurting them, therefore distancing them from himself. I write so that people won’t suffer in silence longer than necessary because they are convinced they are now dangerous and evil. I write so that other people have something to show their families to help them understand their illness. I write because I spent months scouring the internet to try to find someone like me who had made it through this illness and moved on. I write to give families hope of having more children even after going through a difficult postpartum period previously. I write because I want my children to see the love I have for them and also see my strength. I was once scared to tell my best friend that I was going to see a therapist, but now I’m shameless. I have no shame in my story. 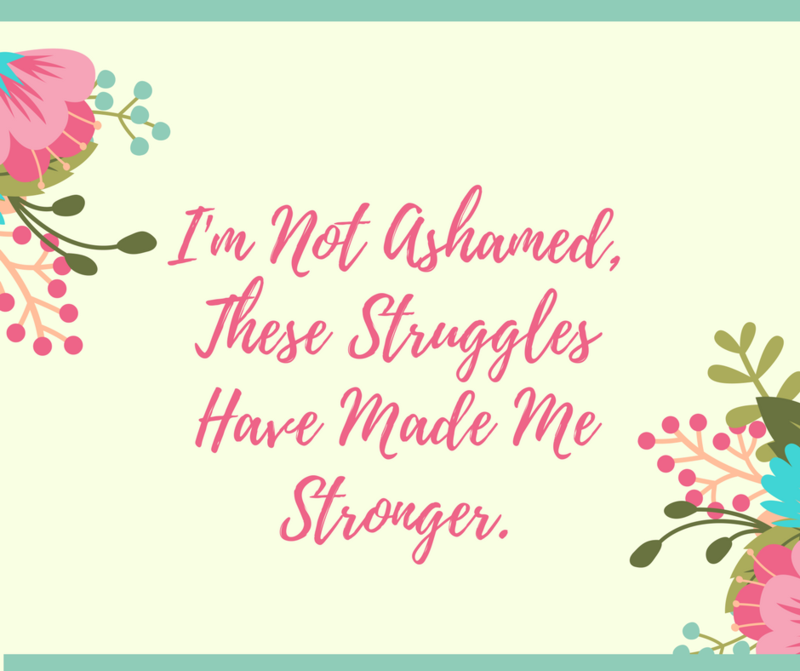 I have no shame that I struggled hard and long. It doesn’t bother me that I went to therapy for years or that I still take medication for anxiety. Having shame about my experience would just continue to give it power, which it no longer has over me. I spent months inspecting myself for character flaws, intent on proving that I was a terrible person. I never found any proof to support that though. I found a woman who cared so deeply for her children that she would go to outlandish lengths to keep them safe. I found a mom who sometimes covered her feelings with sarcasm and laughter, but was secretly very sensitive. Through postpartum OCD, I discovered my true calling in life. I found a meaningful way to help people. My New Year’s resolution is to delve deeper into that calling. I want to expand the reach of my writing in any way possible so that any parent who is struggling alone will feel safe reaching out. Thank you for sharing your journey. It’s a huge help in my recovery as I battle with ppocd everyday. I had my daughter 14 months ago and just am wondering when it will get better. Glad to see that there is hope.